Roswell, GA Lawn Sprinkler Service? Yes! 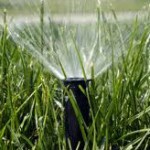 Roswell Sprinkler Repair 770/900-9862 services all of North Atlanta irrigation needs. We at ASR are constantly getting calls from new customers that have let their Landscaping company repair their irrigation system, with very bad results! It is not wise to trust something as expensive as your irrigation system to a landscaper that is learning as they go, on your dime. I have landscapers calling me all the time asking questions about how to repair one of their mistakes. 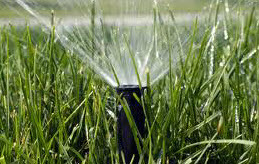 Most landscaping companies think if you can change out a rotor or a spray-head that you are an Irrigation Technician. Nothing could be further from the truth! If you have ever looked inside of one of your valve boxes you will see electrical wires running to them. Do you want someone that cuts grass, trims bushes, plants flowers and trees to work on the electrical wiring to irrigation system? NO! Please don’t let yourself fall for the line something along the lines of ” We can do irrigation repair” or ” We can do it all”. Don’t believe it for one minute! In Roswell, GA this morning I had a landscaper call me, and wanted us to come out and repair an electrical problem that he caused, and tell the homeowner that we do work for him. I told him that he shouldn’t be doing irrigation work if he didn’t know what he was doing. He was in a desperate situation and needed it repaired quickly to satisfy the homeowner. I told him that the only way I would do it was if I dealt directly with the homeowner, without him”the landscaper” involved at all! I had a technician out to repair our “new customers” electrical problem within the hour. If you need your grass cut, hedges trimmed, flowers planted call a landscaper, but if you need irrigation repairs, call Roswell Sprinkler Repair at 770-900-9862.